The journey of vending machines dispensing short stories began in Grenoble, a city of a hundred and sixty thousand in the French Alps. A local publishing startup wanted to make short stories more accessible to public and boost the public interest in literature. The company, called Short Edition, started by installing a prototype vending machine in the city hall in 2015 and later expanded it to train stations across France. Now they have 70 of those machines all over the country. So what does this have to do with literature? Well, the machines print short stories instead of providing soda cans or chips. The machines have three buttons: 1, 3, and 5. Pushing each button will produce a story which is 1, 3 or 5 minutes to read. Part of the business of Short Edition is publishing short stories as the name implies. They have published a long list of stories from emerging writers on their website, but only the very best have gone on to be printed at one of the vending machines. They have plans to make these snack-size stories a global movement, with one vending machine already set up in San Francisco. In a country like France, everyone wants to be a writer: In 2013, a poll by the research firm Ifop found that seventeen per cent of the country’s population had written a manuscript of one kind or another, of course with most of them being unpublished. 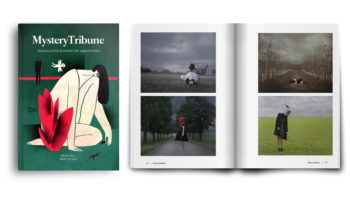 And when it comes to Short Edition, the company’s Web site and app have published stories by nearly ten thousand authors, at a rate of roughly a hundred a day for the last few years. A user base of around a hundred and forty thousand people then vote for the best stories, some of which become e-books, audiobooks, or printed books, in partnerships with companies such as Orange and Butagaz. Now the most popular stories also find their way into the vending machines.